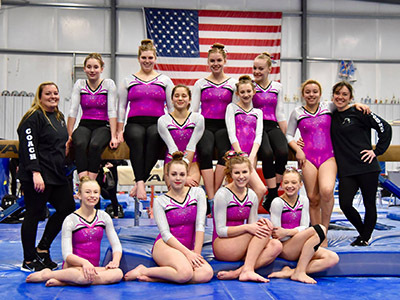 Our Competitive Gymnastics teams have shown the Pacific Northwest what the sport is all about for years! We’ve invested heavily in a team atmosphere with top coaches. Among them is Li Lu, who’s a former Olympian! And Bob Young, whose influence and trophies we stopped keeping track of years ago! 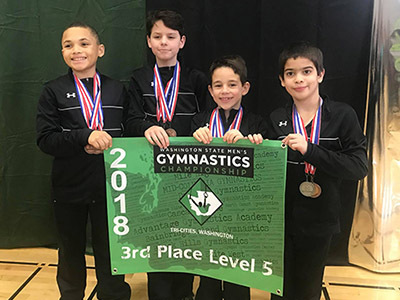 Simply put, if you want your child’s life to significantly improve in the areas of athleticism, strength, mental toughness, and a powerful sense of team, then BHG is where you need to bring them! Li just joined our team in June of 2017. 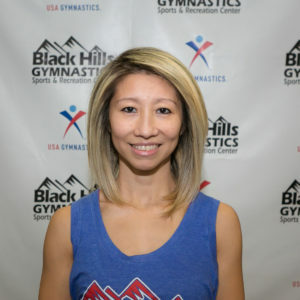 She comes to us with a whopping 18 years of dedicated gymnastic coaching. Currently, she serves as the director of our girl’s competitive team. One of her main goals is to make BHG the top gym in the region! A key part of this, according to Li is laying down a stable foundation, both physically and mentally. She’s a former Olympian, so she knows what training is needed and how to deliver it to our athletes have the best chances for growth. 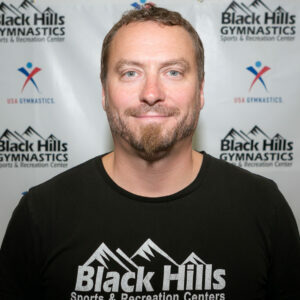 Bob’s been coaching at Black Hills Gymnastics for over 20 years! During this time he’s brought much knowledge and guidance to our boy’s competitive team and girls competitive team programs. 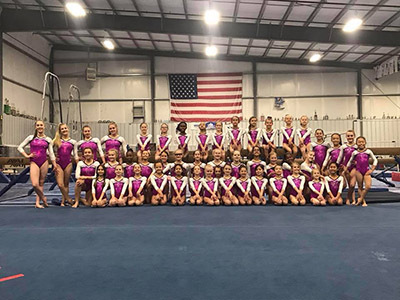 “Gymnasts learn crucial skills like falling and getting up, coordination, perseverance, commitment, strength, flexibility, etc.” With the groups Bob coaches, he evaluates what each individual athlete is capable of and works to get that out of them. Helping them reach their capabilities is one of the main goals of his coaching. He celebrated 20 years last March 2018. He also was an accoladed University of Michigan athlete for the Men’s Gymnastics Team. He was voted Coach of the Year from his peers in the state and region for over 15 years running. The Jr. 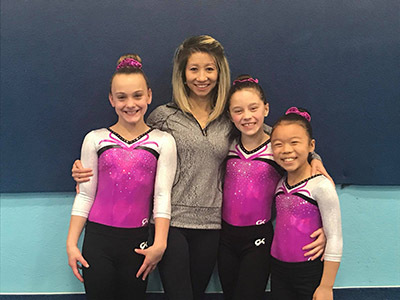 Junior Olympic Program is where our younger girls get a grasp of the important core skills of gymnastics while building strength and coordination. Self-motivated, dedicated athletes who serve as great role models in the gym. Teamwork, respect, and resilience come to mind. They are all outstanding students and citizens in our community. 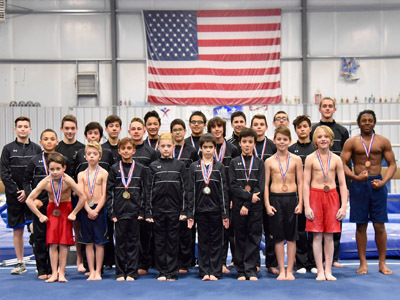 XCEL is an alternative USA Gymnastics competitive program offering individual flexibility to coaches and gymnasts. 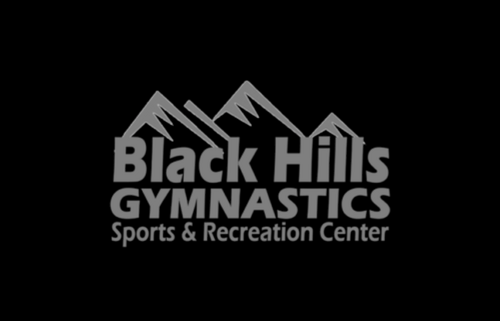 This provides younger gymnasts opportunity for a rewarding gymnastics experience. The Boys Junior Elite program gives our young men the opportunity to be involved and grow as individuals. We provide the perfect outlet for physical activity and guidance for emotional and mental performance that our young men of today need! We build winners and gentleman who value hard work, perseverance, and gratitude. We have the most space of any boys program in the state with the newest up to date equipment to aid each of them in their learning progressions. We are extremely proud of what our facility, managers and overall team of staff has done to contribute to the unprecedented success of this men’s program that dominates in performance year after year. Download the Team BHG App for ALL Communication and Updates! We feel truly blessed and honored to have served this community since 1996 and look forward to continuing to help mold the future generations of our community by investing in the lives of children daily.